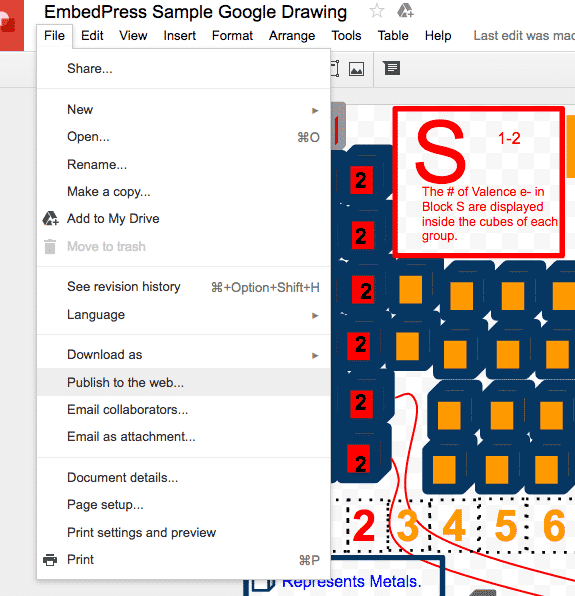 With EmbedPress, you can add Google Drawings to WordPress, using just a URL. 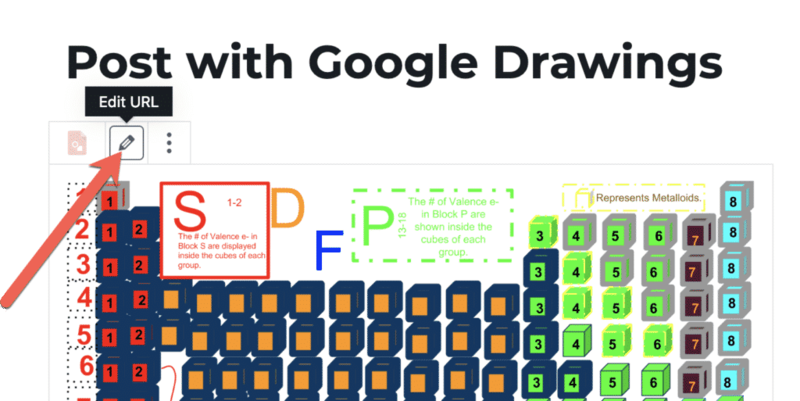 Google Drawings is free, diagramming software. Google Drawings allows you to create flowcharts, organizational charts, website wireframes, mind maps, concept maps, and many other types of diagrams. 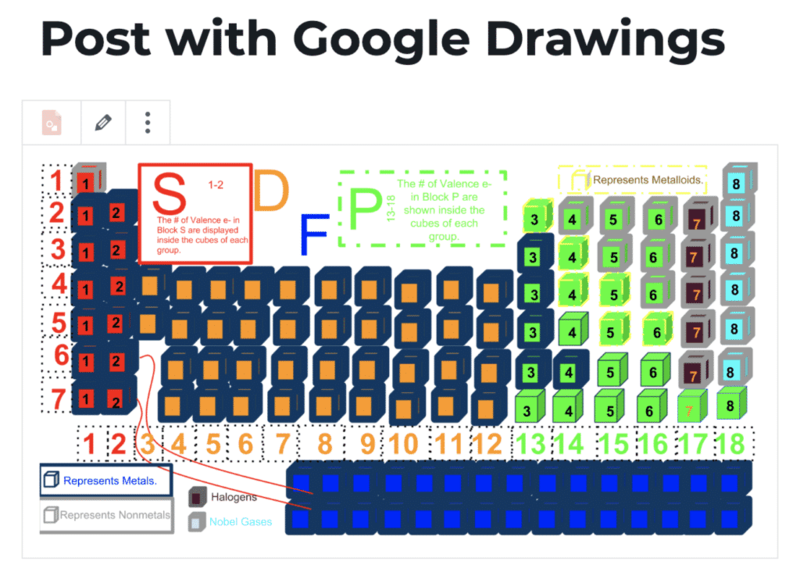 Google Drawing embeds are possible, but they’re not easy to use via normal methods. EmbedPress is different. With EmbedPress, you don’t have to mess around with embed codes. All you need is the Google Drawing URL. 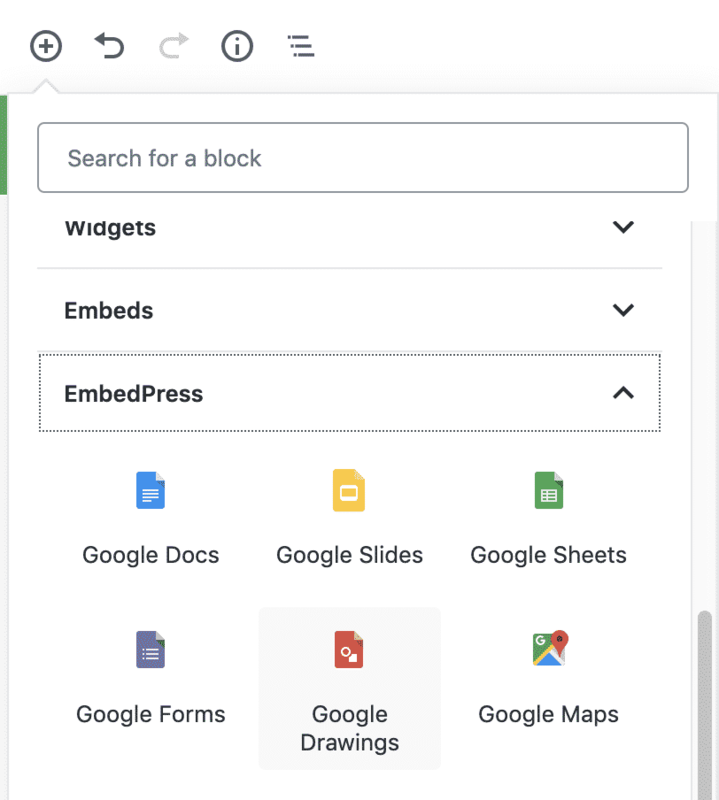 Here’s how to embed any Google Drawing into your WordPress site, using the EmbedPress plugin and a URL. EmbedPress is a very useful plugin that expands and improves on WordPress’ capabilities. Install EmbedPress and your WordPress site will become far more powerful. Click here to find EmbedPress on WordPress.org. 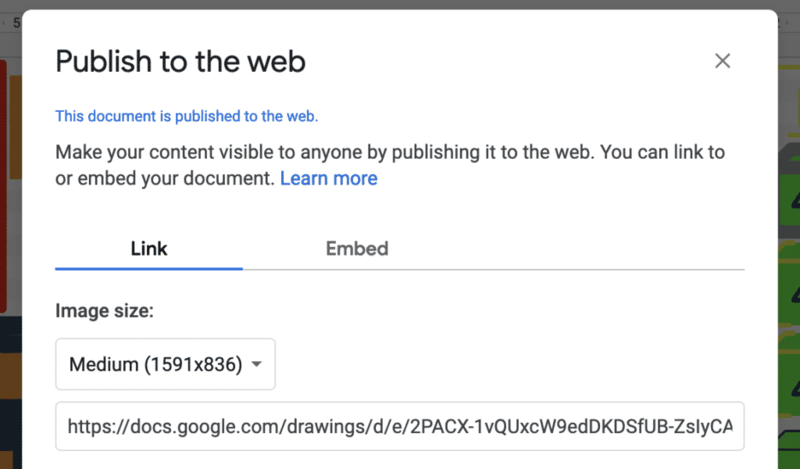 Before you can embed your Google Drawings into WordPress, you need to make sure that it is published and visible for the public. 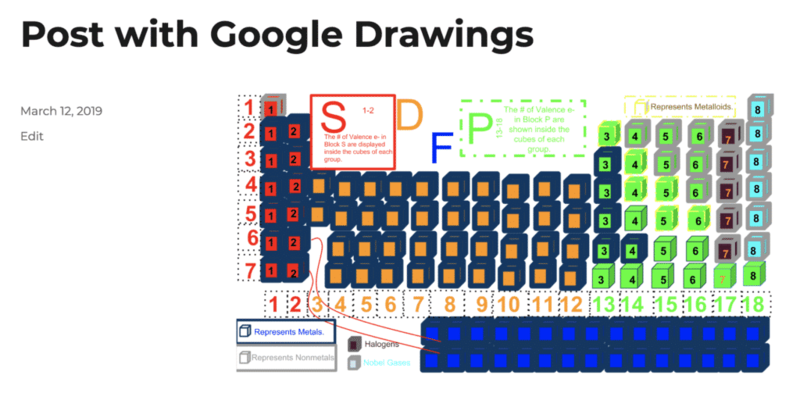 Login to Google Drawings and access the drawing you want to publish. Go to File > Publish to the web. Click the red “Publish” button. Google will now give you a URL. Copy this URL. Paste the URL into a different browser where you aren’t logged into Google. Can you still see the doc? If you can’t, then the Google Doc hasn’t been correctly published to the web. Now you have the Google Drawings URL, you can add it to WordPress. Click the + icon in the top-left corner of editing area. Hover over the embed, and an pencil icon will appear. This icon will show “Edit URL” if you hover over it.